A graduate of SUNY Empire State College with a BA in Human Services, Demetria has also taken many graduate level college courses in forestry, botany, horticulture, and nutrition. She has also done graduate work at Midwives College of Utah and Open University in the UK, was on faculty at the Midwives College of Utah, and adjunct faculty at NH Community Technical College, where she taught herbal and aromatherapy classes at conferences, and apprenticeships. Demetria has also worked for UMASS Medical School in a research capacity. She is a member of the Northeast Herbal Association, an organization dedicated to merging ancient traditions of Herbalism and the needs of the modern herbalist, and is also a member of United Plant Savers and the American Herbalist Guild. 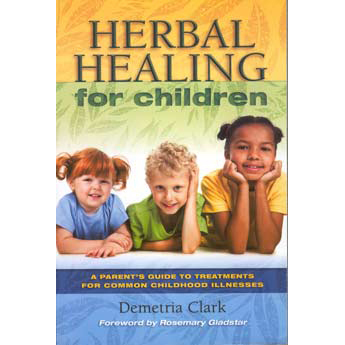 She has published numerous articles in medical, herbal and parenting journals. Great interview. I went to get this book and found it to be a wonderful resource and go three.